What is OnKöl? OnKöl is a simple-to-use invention that connects elderly and those with special needs to their family and caregivers. It provides a team approach to helping care for a loved one, while allowing them to continue to live independently in their home. OnKöl simultaneously notifies selected family members and other caregivers of everything from vital signs to incoming and outgoing calls to emergency or panic situations. That way, the caregivers and interested parties can get out in front of specific events or anomalies, before they become full-blown emergencies. There has never been a better, easier, less invasive way to stay connected to someone you care about. OnKöl can be programmed to provide a reminder to the user to take their medication(s), on a regular or intermittent basis. And it can notify the right people if a dosage is missed. Through the use of the included wireless pendant, OnKöl serves as an emergency response tool to notify family members if immediate attention is required. Other devices contact emergency response operators, which is extremely expensive, particularly if the alarm turns out to be false. By notifying family members, proper action can be taken swiftly and reasonably. If necessary, an optional connection to an emergency response operator can be added, in the event a family member cannot be notified. 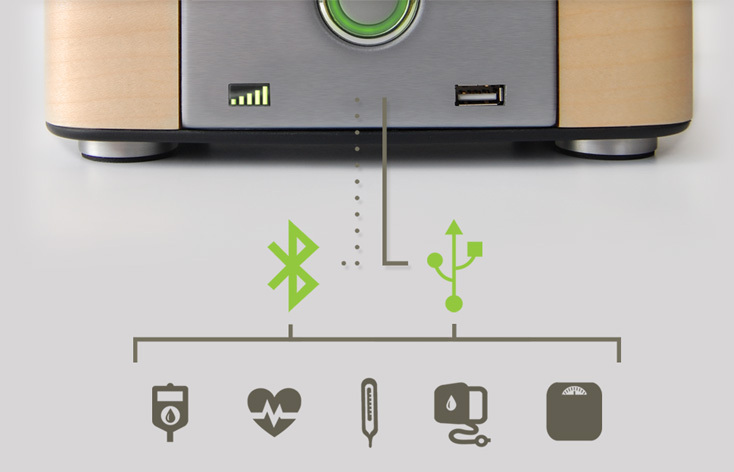 OnKöl can connect wirelessly via Bluetooth or by USB cable to virtually hundreds of medical devices from all manufacturers. That includes everything from blood pressure cuffs, glucose meters, heart-rate monitors, scales and many more. In each case, OnKöl collects the data, communicates it to the right people and stores the data for later use. OnKöl uses Caller ID to keep track of who’s calling your loved one. You’ll be aware of whether a physician, repairman or an annoying salesperson has called, and take the appropriate action, if necessary. When we first looked at the category of monitoring devices for the elderly, we saw only two choices. The first was nothing more than a panic button connected to a 24-hour emergency telephone operator. It did little, cost a lot, and resulted in a lot of fake alarms. The second kind was at the other end of the spectrum. It was an incredibly complex, medical device that was beyond most seniors’ understanding. OnKöl combines the simplicity of the first with the functionality of the second. But it goes far beyond that. OnKöl was designed to be the kind of Scandinavian accoutrement anyone would be proud to have in their home. It was designed to keep families connected to one another, not telephone operators. The family purchases it, and can set up OnKöl from anywhere, over the Internet. 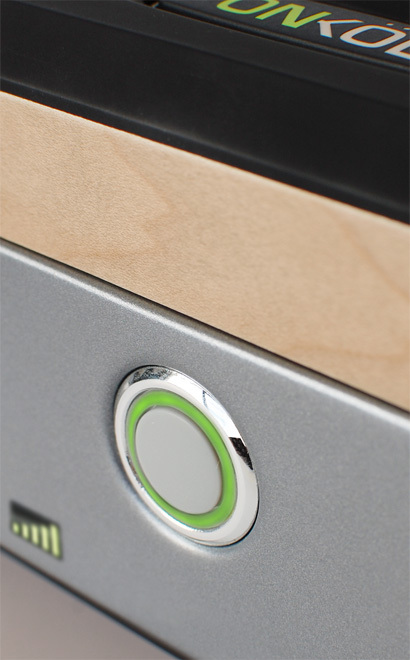 Unlike other devices on the market, OnKöl requires no outside professional installers. It works right out of the box. 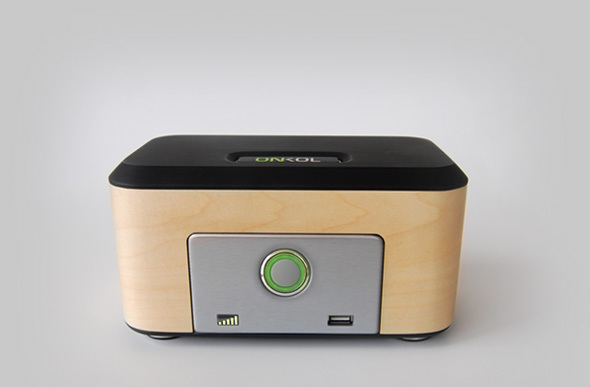 Once OnKöl is placed in the loved one’s home, day-to-day operation is simple and everyone can stay in touch. Every OnKöl system can be expanded to meet new circumstances. It can be programmed to contact a variety of family members by text or e-mail, simultaneously, or in a set order. Plus, it offers the option of contacting a 24-hour staffed call center, in the event a family member cannot respond. Rich speech and sound, plus simple visual cues are available for virtually every system function. The user will be walked through each process, step-by-step. Finally, OnKöl’s “open architecture” design allows it to be adapted to support new technologies and to be paired with any existing or new companion devices.